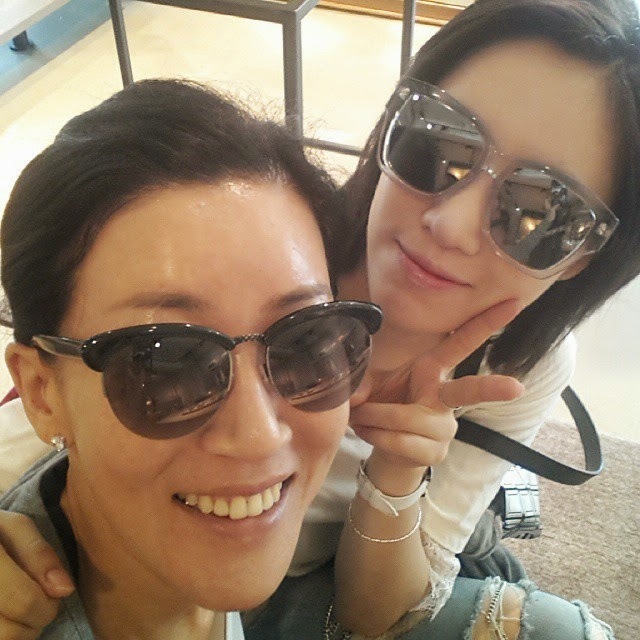 Despite her busy schedule, T-ara's Eunjung is a person who will always make time for her family and friends! Eunjung has visited her friend who owns a boutique and here are their beautiful photos where her friend revealed, "Saying their album’s been released, she came to write me a letter on the album..Eunjung-ah you’re the prettiest~#Couronnne #SeokJungHye #T-ara #Eunjung". Following that she also added, "You must be busy…but take care of your body~Cutie Eunjung~ #Couronnne #CouronnneCheongdam #C-Quatre #T-ara #HamEunjung #T-ara #TARA #couronnista". Eunjung's kindness didn't stop there as her friend continued, "T-ara Eunjung, who sent me a kakaotalk yesterday afternoon saying ‘~unnie~are you feeling good? ?’ then she came (into the store), wrote me a tiny message on their new album, and left.But she’s an idol ..ㅋ she’s just a dongsaeng to me, though.. I don’t remember how did we get close but Hahm Eunjung is too thoughtful for her age and is nicer and prettier in person..’Sugar Free’ has been getting more popular the past few days~~when you listen to it, you’ll find that It’s a completely fun and catchy song.."